Energy storage is the only technology that can bank generated electricity and dispatch it later when needed. In recent years, advanced energy storage technologies, specifically batteries, have evolved substantially and their costs continue to decline significantly, amplifying the value they can provide to our electric grid. As intermittent generation continues to be added to the grid, fast and flexible resources such as batteries are increasingly needed to balance wind and solar’s variable output. 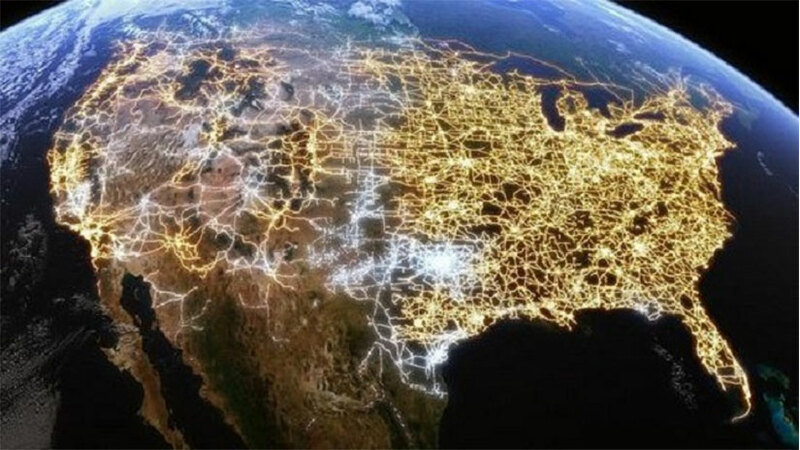 With their unique physical and operational characteristics, batteries directly connected to the transmission and/or distribution systems (front-of-the meter”) have the potential to cost-effectively increase the electric grid’s reliability, resiliency and operational flexibility and facilitate integration of intermittent resources. Customer–sited battery systems (“behind-the-meter”) also can provide a variety of cost and reliability benefits. This white paper, however, focuses on battery systems deployed in front-of-the meter. 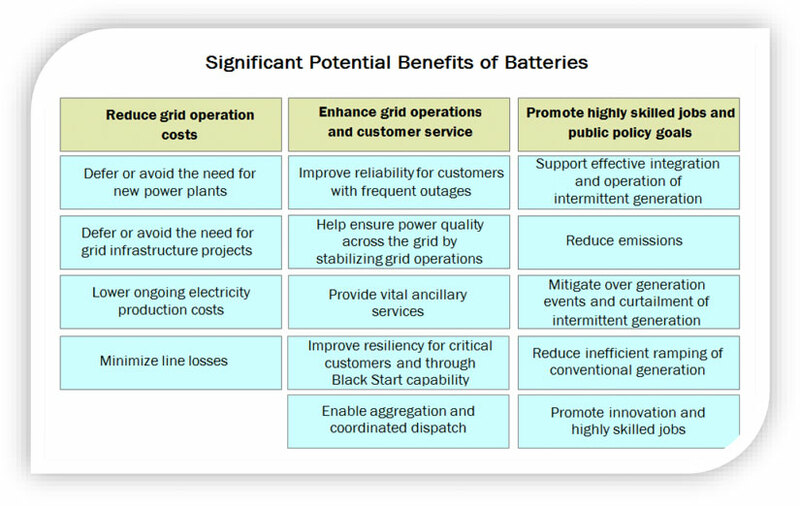 Although batteries have the potential to offer numerous value streams to enhance the electric grid’s efficiency and operations, existing laws, regulations, and market treatment highlighted below often artificially restrict batteries from leveraging and maximizing their multiple capabilities, resulting in missed opportunities and substantial lost value. Conventional energy storage includes pumped hydroelectric and thermal. Advanced energy storage comprises newer, more flexible forms such as batteries, flywheels. This white paper focuses on batteries.